It wasn't long ago that everyone and their brother's mother was starting a hedge fund. But today, given the rise of the regulators in a post-financial crisis climate, institutional invrestors have been moving their money away from the once-booming small shops and into the largest hedge funds in the world. "The number of new hedge funds worldwide declined to about 150 in the fourth quarter, from almost 250 a year earlier, according to a February report by Singapore-based Eurekahede Ptes. More than 80 percent of the $55 billion put into hedge funds last year went to those with more than $5 billion, Chicago-based Hedge Fund Research said in January." Still, that doesn't mean there won't be hedge fund jobs out there; it just means that to work at a hedge fund, you'll likely have to go large, as opposed to joining a small shop with a five-person staff (or starting one of your own). 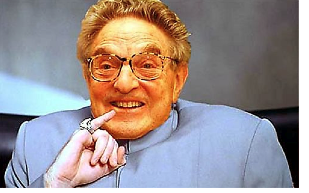 In Asia, for example, global funds like Soros Fund Management LLC and Fortress Investment Group LLC are "hiring local talent that may have once started their own funds," according to Hannah Goodwin, Citigroup's Hong Kong-based head of prime finance in the region. In addition, although Nick Roe, Citi's global head of prime finance, notes that "the institutionalization of the hedge fund industry ... hasn't necessarily hit Asia in a big way yet, we can certainly see it coming." Which is why Citigroup is planning to beef up its Asian prime finance business, which focuses "on services for hedge-fund clients in the futures and over-the-counter market."